Today, more than ever, homeowners gravitate toward design elements that transform the bath into a spa-like oasis. Designers look to incorporate pieces inspired by the natural world to bring renewed energy into the room and create a soothing environment. 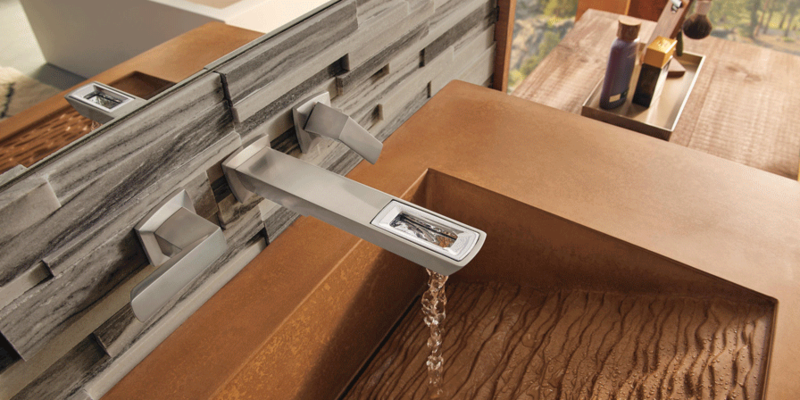 From fixtures inspired by booming waterfalls, to neutral color schemes and natural light, nature infuses life back into luxury bath design for a serene sense of calm. from decorative rugs and plush towels to cabinetry and tiling. A freestanding stone tub makes a luxurious statement to enhance the spa atmosphere. Sleek, oval architectures provide an organic contemporary touch, while rectangular basins deliver a strong geometric focal point. Take the spa-like experience even further and incorporate the use of essential oils. Lavender and chamomile reduce stress and encourage sleep, while peppermint and lemon oils increase focus and mental alertness in the morning. From modern to transitional aesthetics, a freestanding, natural stone tub paired with the sensory infusion of essential oils creates the perfect at-home getaway.